Paint Store :: Shop by Brand :: DAP :: DAP 00102 WELDWOOD CONTACT CEMENT SIZE:1 OZ PACK:12 PCS. 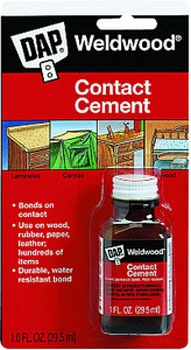 DAP 00102 WELDWOOD CONTACT CEMENT SIZE:1 OZ PACK:12 PCS. GRACO 16D562 ACCESSORY CUP LINERS PACK:10 PCS. ALLWAY FF SANDBAR FINE GRIT PACK:10 PCS. VARATHANE 12863 211807 DARK WALNUT 269 OIL STAIN SIZE:1/2 PINT PACK:4 PCS. 3M 70890 COARSE 3" X 24" PACKAGED SANDING BELT PACK:10 PCS. WOOSTER R295 50/50 ROLLER COVER SIZE:14" NAP:1/2" PACK:6 PCS. ENCORE 32160 HEAVY DUTY WALLPAPER TRAY PACK:25 PCS. ZINSSER 03200 SHIELDZ PLUS WALLCOVERING PRIMER SEALER SIZE:5 GALLONS.